One can always use the restroom at a fast food restaurant, or, after politely asking, at some sit-down restaurants without necessarily being obliged to place an order. 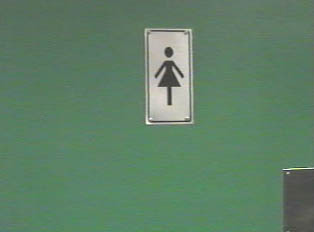 There are always public restrooms in malls and the inter-city bus stations and plenty of rest stops on the highway. One does not, however, find facilities available in stores.